Temple faces a Spiders team that has not beaten an Atlantic Ten opponent with a winning record. THO NGUYEN TTN Senior guard LaKeisha Eaddy dribbles the ball in last Wednesday’s game against Duquesne. Temple won, 52-41. Fresh off a loss to Dayton last Saturday, Temple coach Tonya Cardoza and the women’s basketball team (20-7 overall, 9-3 Atlantic Ten Conference) travel south to face junior guard Brittani Shells and the Richmond Spiders (16-10 overall, 5-6 A-10). Shells, an All-A-10 first-team and All-Conference defensive team selection, leads the conference with 16.5 points per game. The 5-foot-7-inch Camden, Del., native also leads Richmond with 2.3 assists per game. Her performance has not gone unnoticed, as she was recently named one of 12 finalists for the Nancy Lieberman Award, which is given annually to the nation’s best point guard. Last year, Shells averaged 15.1 points per game to help lead Richmond to the A-10 Championship game, where the Spiders fell to Charlotte, 59-54. Richmond finished the season with a 24-10 record and earned a berth in the Women’s National Invitational Tournament. Two starters are gone from last year’s squad, including guard Johanna McKnight. Without McKnight, who finished second on last year’s team with 10.9 points per game, the Spiders have lacked a solid scorer to complement Shells. After Shells, no Richmond player averages in double figures. However, sophomore guard Abby Oliver has provided a consistent scoring threat off the bench for the Spiders, scoring 9.3 points per game. On the year, Oliver has shot 43.7 percent from the field, including 41.8 percent from 3-point range. Richmond has had some impressive victories against Atlantic Coast Conference teams, with one win coming at home and one on the road. After defeating Clemson, 86-67, the Spiders traveled to Wake Forest, where they defeated the Demon Deacons, 64-54. There have also been some embarrassing losses for Richmond. The Spiders, like every other team who has faced the Connecticut Huskies this year, left Storrs, Conn., disappointed. Shells was limited to 12 points, and Connecticut rolled to an 86-37 victory. The Spiders also put up a lackluster performance against A-10 foe Dayton earlier in the season, losing to the Flyers, 83-31. The Spiders have yet to beat a conference foe that possessed a winning record. Richmond’s A-10 wins have come against Rhode Island, La Salle, Massachusetts, Fordham and George Washington, five teams with a combined 40-93 record. Statistically, Richmond is the A-10’s worst team when it comes to defending the 3-pointer and allows opponents to shoot 36.2 percent from beyond the arc. The Spiders live off turnovers, as they lead the league with 11.2 steals and a turnover margin of +5.04 per game. The Spiders are a fairly large team, with six players checking in at 6-foot or taller. In spite of this, Richmond is 10th in the A-10 with a mere 2.4 blocks per game. The last time the two teams faced off, the Owls relied on stellar shooting to defeat the Spiders, 65-52. 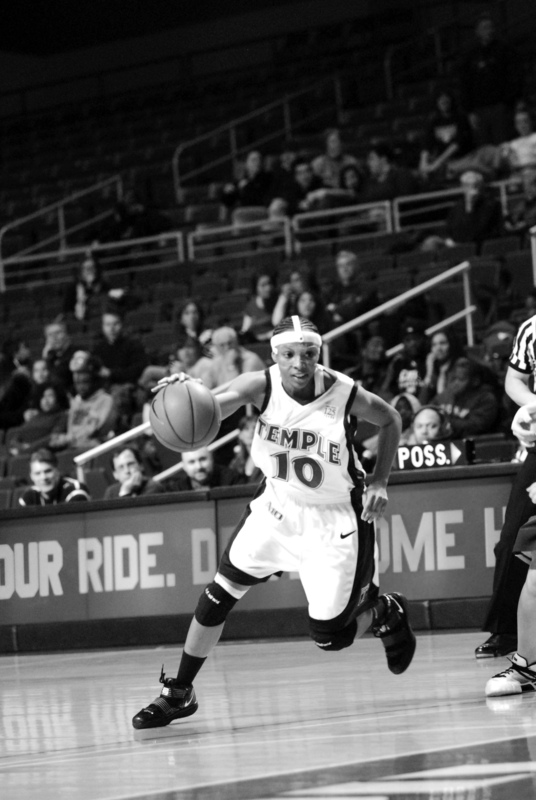 Former Owl Shenita Landry led the way for the Cherry and White, scoring 12 points to go along with 12 rebounds. The Owls as a whole shot 49 percent from the field. Temple leads the all-time series, 9-3, and the Owls have won four straight games and eight of the last nine meetings. Richmond last won Feb. 12, 2006. Tipoff is set for 7 p.m. Wednesday at the Robins Center in Richmond, Va.
Staley, who coached the Owls from 2000-08 and grew up in North Philadelphia, guided the University of South Carolina to an 87-60 win on Thursday at the Liacouras Center. A career-high performance from Alliya Butts propelled the Owls to their second victory in as many games on Tuesday.